Fun "Grannies are like magicians, they make cake disappear" card. Perfect for Granny on Mother's day or her birthday. Everyone knows that Grannies love cake! 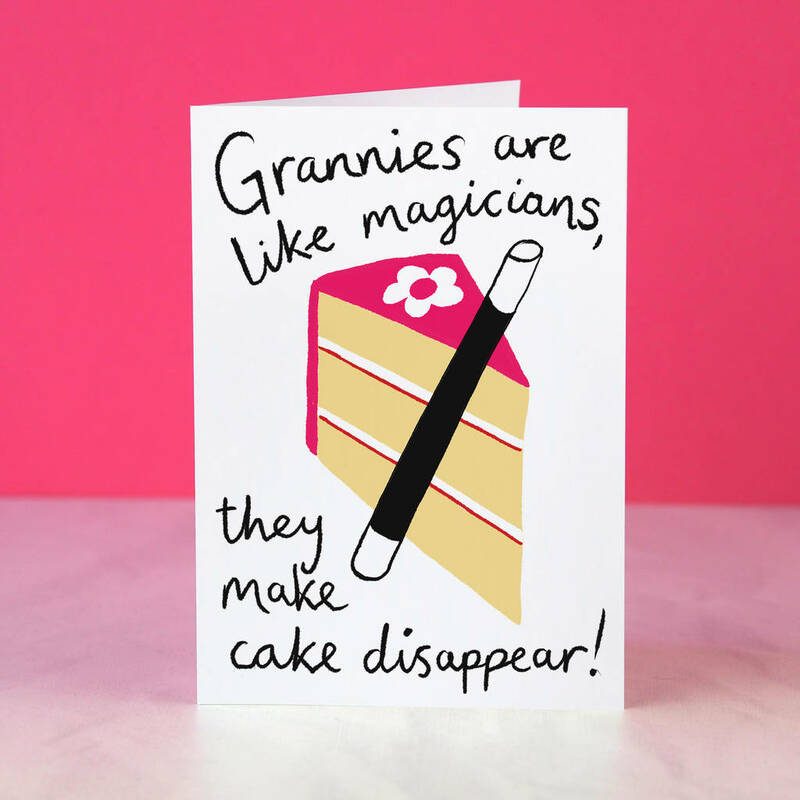 This playful card reads "Grannies are like magicians, they make cake disappear", with a cute illustration of a slice of cake and a magic wand. Our unique design is sure to make her smile on Mother's day or her birthday.